IOWA CITY, Iowa—The ACT® test will be available to more students in India thanks to a new agreement between ACT and MeritTrac, India’s leading pure play testing and assessment company. The agreement will allow ACT to reach more students in India who wish to pursue their higher education in the United States. 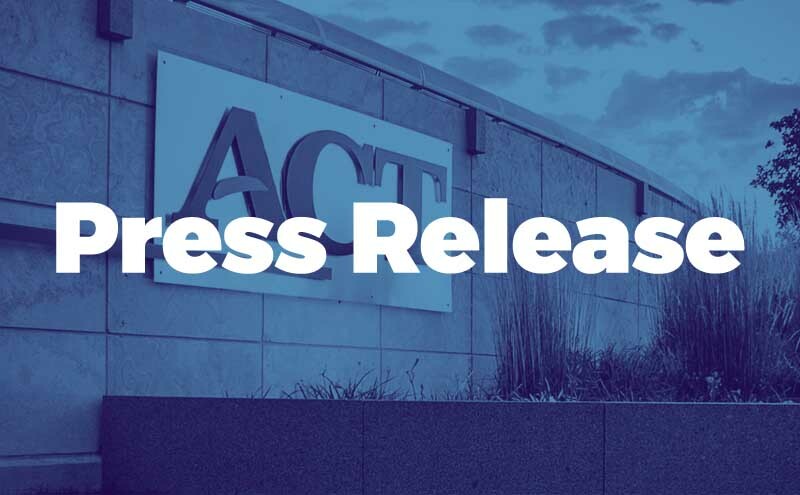 “We are thrilled to be joining forces with MeritTrac so that more students in India will be able to benefit from the ACT test and use their results to apply to US colleges and universities,” said Jacqueline Krain, ACT vice president for international. MeritTrac has been the pioneer in conducting authentic assessments for corporations, educational institutions and governmental organizations for the past 17 years. The new agreement will allow ACT to leverage MeritTrac’s expertise in the area and expand access to the ACT test across India. Currently, ACT test centers are available in 20 locations across India including Mumbai, Kolkata, Hyderabad, New Delhi, Chennai and Bangalore. Working with MeritTrac, ACT hopes to have centers in all major cities and towns in India, reaching upwards to 80 locations in the next two years. Starting in December of 2017, the partnership with MeritTrac will open new test centers in Ajmer, Bhilwara, Delhi, Gwalior and Nagpur. MeritTrac is India’s premier Assessment Company in the private sector. MeritTrac provides innovative assessments to leading Corporates, Educational Institutions and Government Organizations. MeritTrac is a 100% subsidiary of Manipal Global Education (MaGE), which is one of the largest and acclaimed education service providers with presence across the globe. As a leader in assessments, MeritTrac has been leveraging its CMMi and ISO certified processes in transforming the way tests are designed, managed and delivered in India. MeritTrac offers high levels of reliability, quality and security for consistently delivering large scale assessment initiatives. Since 2000, MeritTrac has successfully delivered over 43 million assessments and evaluations for more than 400 examination bodies. In addition to pre-recruitment assessments, MeritTrac has also been involved in the delivery of computer-based/paper-based tests, On-Screen Marking (OSM), Online Application Processing and biometrics-based candidate authentication.